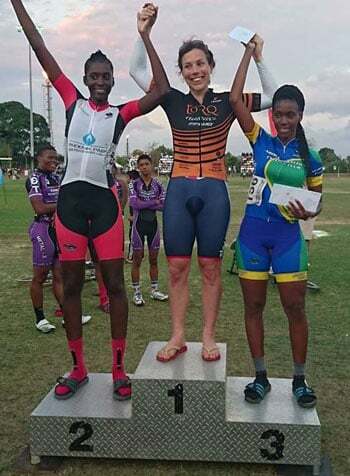 The Southern Games provided a weekend of international racing in Trinidad, including Criterium, Hard Track and Grass Track racing. Maddy travelled out with three other Brits as Team GB. Having made the podium in the Criterium on Friday and Hard Track on Saturday, it was the Grass Track on Sunday which proved the most successful, as Maddy took wins in both the 1000m and 2000m against a strong field and with thanks to the teamwork of fellow GB ladies, Niki Kovacs and Tanya Griffiths. Brilliant results, Maddy! Congratulations from all at TORQ HQ.